Do all versions need an index? Well actually, no! Most printed books would highly benefit from an index. An index for an ebook is a nice bonus. And an index for a Kindle is completely pointless. The reason for this is that Kindle books don’t have page numbers – the text flows in different fonts and font sizes, plus is viewed on different screen sizes. So an index or even a chapter list with page numbers would never make sense. For reader navigation of Kindle books, you need to use bookmarks and hyperlinks instead. So WHY do some books need an index? Well I mentioned reader navigation above – and that is absolutely the primary reason. If you have a book of recipes, that aren’t sorted into any particular category, a reader might flip through the book and a recipe catch their eye. Later, they’ll go to find that recipe and may not remember where in the book it was. Quick – flip to the index and find where it is! With the same recipe book, a reader might have bought an ingredient specially for one recipe, and want to know which other recipes they can use it for. Plus, some readers will scan through an index for inspiration, looking for the right word to jump out at them. So isn’t there an index program that I click a button and it indexes for me? The problem with that is common sense. Let’s take our recipe book example again. Perhaps it’s a book about soup. A reader might want to look at an index for all soup recipes that include chicken, but it is unlikely that they will look in the index for any recipe that includes black pepper. So it isn’t as simple as just picking out all the ingredients and turning them into a list. There are methods, occasions, and many more ways that the book can be categorized. And let’s not forget that people search for things in different ways. In that soup recipe book, an ingredient like green onions might be listed under “g” for green onions, “o” for onions, green – but also “s” for scallions – because they are also referred to by a different name. An indexer will work through the book, pull out all the likely searchable items with corresponding page numbers, then put them into variations that the reader might search for. 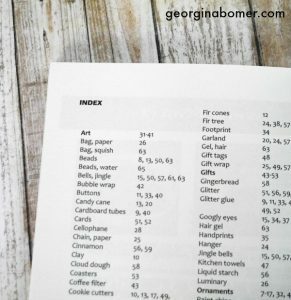 Do you need an index for your book? Perhaps you’re self-publishing and unsure if you need one. Chat with me! Find contact details and lists of my previous work over on my Indexing Page.